For many individuals, their goal is quality of life rather than medically extended longevity. This is especially true for frail seniors. 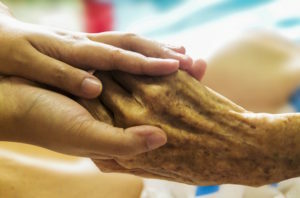 Unfortunately, there can be a disconnect between what the senior desires, the actions taken and ultimately the healthcare provided. As a means of addressing this disconnect, a new study is being conducted in Canada that aims to evaluate ways to improve care planning conversations. As Dr. John You, project lead for the project states, “Advance care planning can have a significant impact on the patient experience and the family experience….They deserve to have their voices heard.”​ Click here to read more about this study. This entry was posted in Article, Healthcare, Healthcare Quality, Long term care, Patient, Patient Voice, Patient/Family Experience, Research, Seniors and tagged advance planning, care planning, communication, conversation, decisionmaking, medical intervention, quality of life. Bookmark the permalink.